Dante Alighieri was the greatest of the Italian poets. His Divine Comedy has long been considered the greatest Italian literary work ever. Dante was fortunate to be born in Florence, Italy, which would become the heart of the Renaissance. His exact birth date is unknown, but it is believed to be sometime around 1265. We know very little about his early life except that his mother died when he was only 10. We also know that as a young man, Dante received an excellent education. He studied with excellent teachers including Dominican friars. The friars taught him the Aristotelian philosophy of Thomas Aquinas. Before long, his mentor would become the classic scholar Brunetto Latini. Brunetto would teach Dante the Latin classics of Virgil, Ovid, Cicero, and Aristotle. At the same time he taught him to speak Latin with force and eloquence. Shortly afterward, Dante would become friends with Guido Cavalcanti. It was Cavalcanti who persuaded Dante to write in his native Tuscan dialect. Before Dante, numerous dialects were spoken throughout Italy, and at the time there was no dominate language. No one ever dreamed that the Tuscan dialect could be used to write exquisite poetry, but Dante would prove them wrong when he wrote the “Divine Comedy.” As a result, he would become known as the “Father of the Italian Language,” and Tuscan would become the native dialect of Italy. No other writer would ever have a greater impact on a modern language. The narrative in Dante's “Divine Comedy” moves quickly. It details Dante's journey through Hell, Purgatory, and Heaven and what he saw in each. The story is about virtue and vice, and rewards and punishment. Dante uses an enormous cast of characters. The story is full of inspiration. Dante met Beatrice Portinari, when he was just 9 years old, and she would greatly influence him the rest of his life. The exact extent of their relationship is not known. However, much of the poetry that Dante composed during his life was dedicated to her. His collection of love poems entitled, “The New Life,” was devoted to her. Unfortunately, they would never marry. Instead, Dante participated in an arranged marriage to Gemma Manetto Donati. The Donati's were a very influential family, and Gemma and Dante would have three children. Beatrice would die in 1290. In 1294, Dante became very involved in the politics of Florence. It is believed that he was on the city council and voted, but much of these records were later lost in World War II. 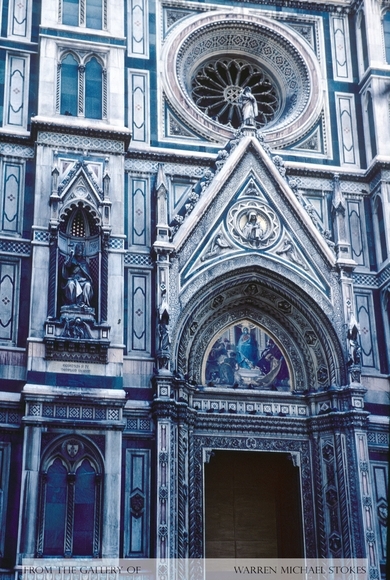 During much of Dante's life Florence was divided into two religious factions. Dante and his family were loyal to the Guelph, who were following the papacy (office of the pope) and not the pope. The other faction was called the Ghibelline and they backed the Holy Roman Pope who was Pope Boniface III. Dante would become so involved in the religious cause that he joined the Guelph cavalry and fought in the Battle of Campaidino. Unfortunately, Pope Boniface would win, and Dante had all of his property confiscated and he was exiled to Ravenna where he died.